Meatless Monday Part II- Staff Potluck! We were so inspired by Rob’s latest blog entry that we decided to have a staff potluck next Monday, April 4. If you’re a UUA staff person I hope you’ll be able to join us. If you are not, or are away from Boston, please try this at home or at your own place of work! Bonus points if you try for local and organic, but meatless is our goal this week. If you’re planning to attend and bring something, please note it in a comment! If you want more information or recipe suggestions, check out Meatless Monday. 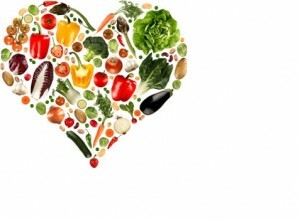 In looking for a cool photo to go with this post I found a great short synopsis of Meatless Monday and why it’s great! A technical question since there are ranges of meatless, would eggs fall under the meatless for this lunch? Yes, eggs would be fine for this lunch. Thanks for asking! We’ll take eggs, honey, dairy… just no meat or fish. I’ll bring an edamame, radish and cilantro salad. p.s. The vegetable heart picture is excellent, Melissa! Wow, cool graphic and great idea for a veg oriented pot-luck. I’m in testing at noon so hopefully this is the 1st of many and I’ll catch the next one! I”ll bring in some vegan chili if I find I have the time to make it this weekend! It’ll be made with soyrizzo, tomatoes, beans, etc!